This is a set of 4 Round luxury aftermarket custom made 3D Domed Gel Custom made to fit WOLFSBURG OLD STYLE alloy wheel center cap badges . Please do not ask for a custom design if it is the WOLFSBURG logo, WE WILL REFUSE. Why not have your name or initials (NOT WOLFSBURG), name, logo or any other Monika. 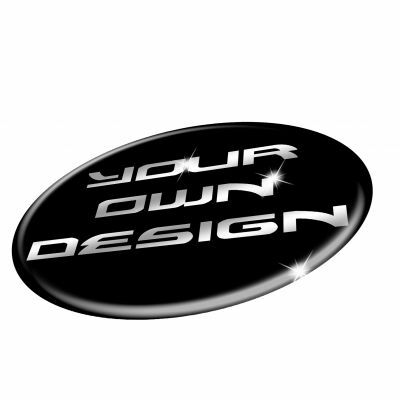 Stand out from the crowd with your very own personalised branding. this was what im looking for.i find some of other websites but no other looks 100% original as yours..
Great quality, exactly as ordered and no delay whatsoever. 4 days delivery to Australia. It doesn't get any better. Thank you very much. I will certainly use this company again and will be recommending it. Cheers. Great product ...very quick shipping!